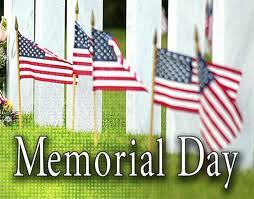 Chat is canceled this evening in observance of the Memorial Day holiday in the United States. On Memorial Day, we celebrate those who have fought and died for our country. I'd like to share a link - to the Old Tennent Church in Manalapan, New Jersey. The church was used as a field hospital during the Revolutionary War, after the Battle of Monmouth. "The congregation was formed in 1692 by a group of Scottish Dissenters who had fled their homeland to escape James II's severe persecution for their beliefs. It has occupied its existing building since 1751, and the structure has undergone little fundamental change. This lovely church once served as a hospital during a celebrated engagement in the War for Independence -- the Battle of Monmouth -- which raged around it on June 28, 1778. In that encounter the Colonial troops, under Washington's personal command, forced a withdrawal of the enemy which virtually ended Britain's military effectiveness in the northern part of the country. See also: More Historical Information and Stories of Old Tennent Church." Very interesting and appropriate, Carol. Just spent my entire lunch hour exploring the links you provided. I absolutely love this kind of stuff...thank you for sharing! A Shoutout to Joanne in Connecticut! Brenda Novak Fights Diabetes and we ALL Win! SUGAR is now on Facebook and Twitter! Win a Free Trip to Scotland! !